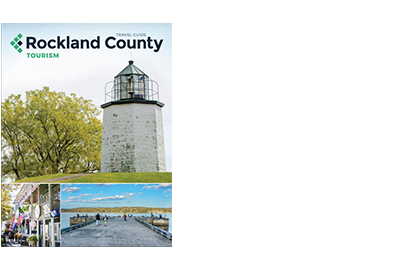 Rockland County is easily reached from New York City by following I-87 to I-287 via the new Tappan Zee Bridge. On the boarder of New York and New Jersey, Interstate 287 and the Garden State Parkway enter Rockland County from New Jersey. Visitors from Connecticut can reach Rockland County by following I-84 to I-87. Coach USA offers a daily lines from George Washington Bridge Bus Station and Port Authority with over twenty stops, ending in Stony Point on Route 9W. Also serves Upstate NY areas, colleges, and Orange, Sullivan, Bergen, and Pike Counties. Bus services from Monsey (Ramapo), in Rockland County, NY to Brooklyn and Manhattan. Metro-North provides rail service from Westchester County to Grand Central Terminal in Manhattan. The Hudson Link bus provides service form Rockland to Tarrytown Rail Station to connect with the Hudson Line, and to White Plains Rail Station to connect with the Harlem Line. NJ Transit provides rail service from Rockland County under contract with Metro-North. Ride the Main/Bergen/Port Jervis line from Suffern and Sloatsburg or the Pascack Valley Line to/from Spring Valley Nanuet, and Pearl River. Service to Hoboken Terminal with connecting service to NY Penn Station via Secaucus. Service from New York Penn Station to various destinations around the country including Boston, Philadelphia, and Washington, DC. Haverstraw-Ossining FerryOpens a New Window. Operated by NY WaterwayOpens a New Window., the ferry travels between Haverstraw, NY in Rockland and Ossining, NY in Westchester to connect with the Metro-NorthOpens a New Window. Hudson Line train to Grand Central TerminalOpens a New Window. in Manhattan.